Ocala, Florida — On June 1, 2014, Ocala Police Department Dispatch received a 911 call from an anonymous caller in regards to a man having approached her asking for help. The caller told dispatch that the man had exited the woods in the area of the 300 block of NW 10th street, at the railroad crossing, and requested the caller dial 911. The man did not provide the caller with any other details. Officers J. Forsyth and J.P. Hall were dispatched to the area, along with EMS. Upon arriving on the scene, officers made contact with an individual that led them to a transient camp within the woods. K-9 Officer G. King along with his K-9 partner “Kilo” arrived on the scene shortly thereafter. 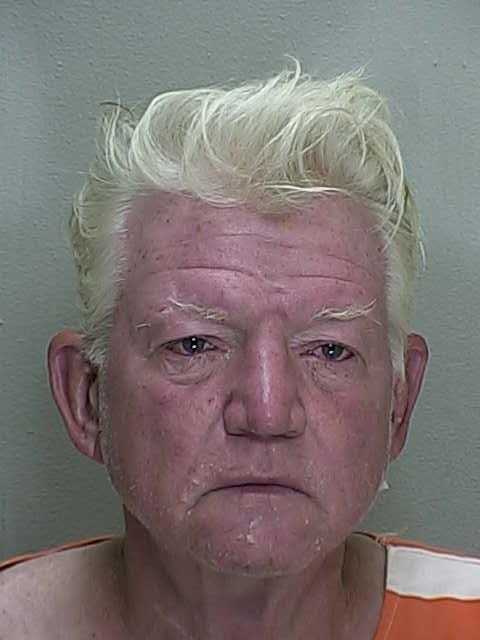 While on the scene, Officer King was approached by a man, later identified as Daniel Rosselle, 60, of Ocala. As Rosselle approached K-9 Officer “Kilo”, he began chanting “puppy, puppy, puppy,” and appeared as if he was going to pet “Kilo.” Officer King advised Rosselle that “Kilo” was working and not allowed to be pet. Rosselle then took several steps backwards and acknowledged the officers statement. Moments later, Rosselle started screaming, “puppy, puppy, puppy,” and leaned in to pet K-9 “Kilo,” which caused “Kilo” to begin barking aggressively as well as trying to pull away from K-9 Officer King. Rosselle was again warned not to approach k-9 Officer King or “Kilo” while they were investigating the 911 call. Shortly after, it was determined that someone at the transient camp had suffered a heart attack. While Officer King was speaking with EMS, Officer Hall observed Rosselle quickly approach Officer King and “Kilo” from behind. According to reports, before Officer Hall could say anything, Rosselle reach out and grabbed “Kilo’s” tail and abruptly “jerked” it. Instantly, “Kilo” turned and lunged at Rosselle in an attempt to bite him. Officer King had to restrain “Kilo” to keep him from doing so. “Kilo” continued barking aggressively while trying to pull away from Officer King in an attempt to pull toward Rosselle. He was transported to the Marion County Jail and charged with Obstruction/Offenses Against a Police Dog. He is currently being held on $500 bond.